I know, I know, that’s a lame knock-off of John Muir’s quote. But people, the Forest Service CALLED ME. Well, they e-mailed me first to schedule a phone call. But who knew they even had e-mail? All kidding aside, the Forest Service seems to be a lesser-known group compared to other agencies like the National Parks Service. But now in 2015, they are trying to change that. Forest Service personnel found me from my millennials in the wilderness post and wanted to share a new public service campaign and goals with public outreach, moving beyond their traditional approach (waiting for people to visit ranger stations) to something that is fresh – aimed at people like you and I (via the internet!). During my talk with the White River National Forest in Colorado, which encompasses 2.3 million acres and 12 ski areas including the Beavercreek/Vail ski area, I learned what the Forest Service is hoping to teach us about recreating on/in national forests. 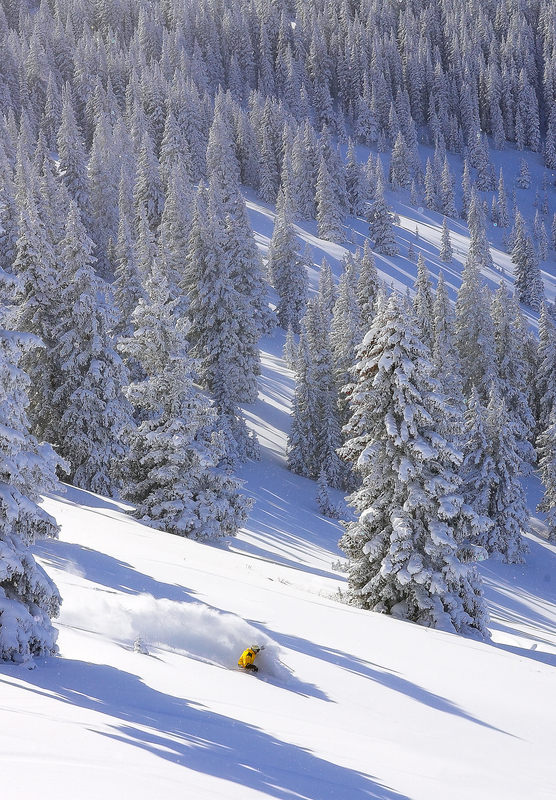 This year, the FIS Alpine World Ski Championships will be held on the White River National Forest at Beaver Creek/Vail. The White River National Forest and the National Forest Foundation have teamed up on a public awareness campaign which will launch during the event to raise awareness about recreation on national forests. The Forest Service is teaming up with Learn to Ski and Snowboard to promote #FirstDayFaces – people are encouraged to post selfies during their first skiing/snowboarding trip. Bonus points for a national forest visit! Participants are eligible to win a trip to Utah. Let’s talk about what a national forest actually is. Have you ever seen those vintage-looking signs on the side of the road when driving through a particularly wooded area? You found one. The Merriam-Webster Dictionary defines “National Forest” as “a usually forested area of considerable extent that is preserved by government decree from private exploitation and is harvested only under supervision.” On a bigger scope, the Forest Service, part of the U.S. Department of Agriculture, is a multi-faceted agency that protects and manages 154 national forests and grasslands in 44 states (and Puerto Rico) and is the world’s largest forestry research organization. Does that sound a little intimidating to anyone else? Considerable extent? Private exploitation? Harvested under supervision? Let’s take a step back. 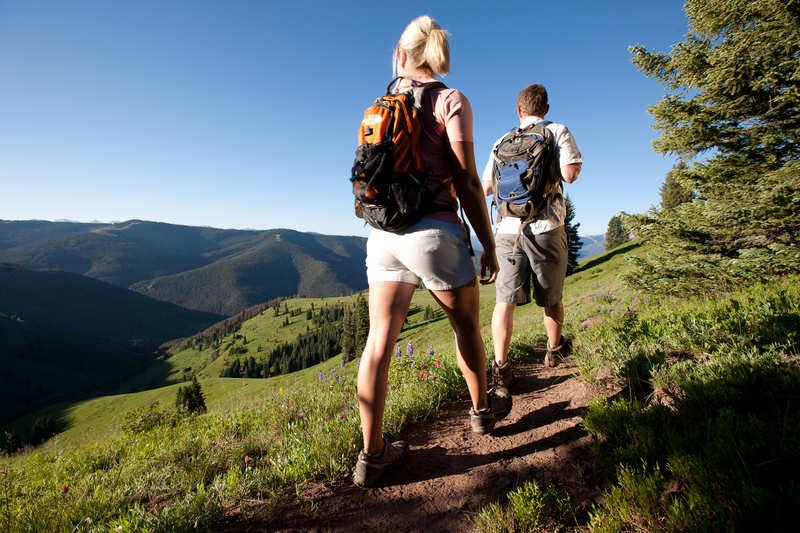 A National Forest is a place where you can play outside with a variety of recreational opportunities. Unlike more restricted areas like wilderness and most areas of National Parks, national forests allow you to boat, ski, fish, hike, mountain bike, and camp and more. Want to backpack? Go for it. Backcountry ski? Have a blast. Just don’t get too close to the bears. National forests are part of public lands – lands that are managed by the government that are “owned” by us, the people of the United States. So how do you get to a National Forest? Well, you could go the old fashioned way and look at a map. These days, sometimes apps are handier. The Recreation.gov app is a place where new explorers can get all the answers they need! You can search for outdoor places and campgrounds near your adventure location or just browse areas near your current location. Are you a fan of Instagram? Of course you are. The forest service is also pairing up with Yonder – an Instagram/Yelp hybrid. Users post photos, much like Instagram, of outdoor places. In February, the National Forest Foundation, Yonder and the White River National Forest are teaming up to present a photo contest called “It’s All Yours.” Users can submit photos via Yonder or Instagram of their national forest experiences for chances to win prizes through Yonder and the National Forest Foundation. The contest will run through February with weekly prizes and one grand prize winner. For more information head to www.itsallyours.us . Find a forest with the National Forest Foundation’s interactive map. You can also stop into the forest service ranger stations – don’t be shy! They know the forests better than anyone and can help you figure out what to do. However you like to enjoy the forests, whether its to watch the FIS Alpine World Ski Championships or not, share your experience with the internet. Trees love selfies! This post was written by yours truly in conglomeration with the White River National Forest and the Forest Service in anticipation of the FIS Alpine World Ski Championships. Follow them on Twitter or like their Facebook page for more ways the Forest Service is connecting with the public!